Burnished concrete is the same conventional concrete which is trowelled more than twice to make the concrete surface hard-wearing, durable finish with a surface lustre. It is majorly used in being used in residential and commercial buildings. In this article we discuss about the work procedure, types, advantages and disadvantages of burnished concrete. The steel trowel burnishing process typically requires a concrete slump of 80 to 100 mm with a tolerance of 15 – 20 mm. The desired outcome of burnishing is to achieve a smooth, impervious and durable surface, free of residual trowel marks. If the concrete floor is designed to be of any specific colour. The cement and the colour pigment must be specified. No excess mixing water shall be added to the concrete on-site. Working repeatedly on the concrete surface makes the concrete achieve stiffness, ensure maximum durability, impermeability and abrasion resistance. If the concrete become unworkable due less water, addition of water or wet wiping to the surface of the concrete during finishing shall not be permitted. 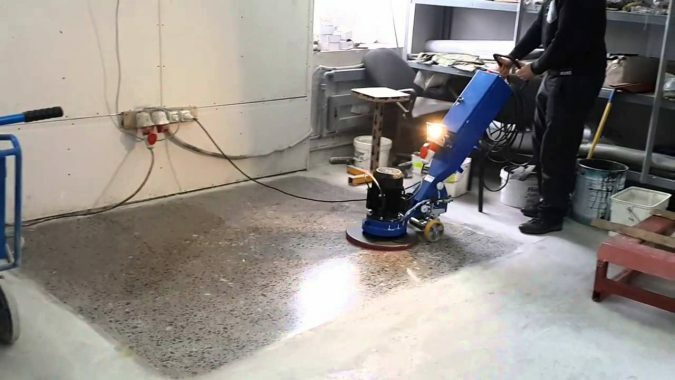 Burnishing of concrete done using the application of wax and resin must be steel trowelled to provide a trowel mark free concrete surface and not overworked to such an extent as to result in inconsistent surface colour. Generally for this type of works, penetrating type of sealers are used to seal the concrete surface after curing process is completed. Burnished finished concrete surface has durability and is extremely strong. The can easily withstand heavy foot and equipment’s load. As the surface is smooth and even, maintenance is very easy. Care must be taken that the dust does not accumulate on the surface. 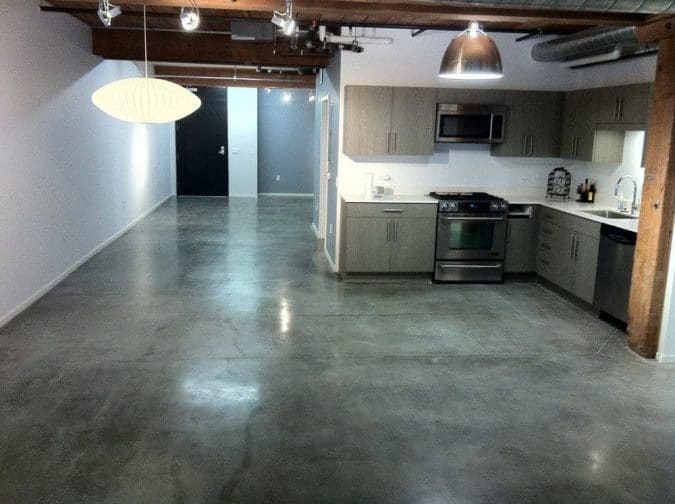 Another drawback of concrete floors is that they do not tend to retain heat very well. That means that in the winter the surface of the floor becomes cold. As the surface us hard and strong, it produces loud sounds when walked on.